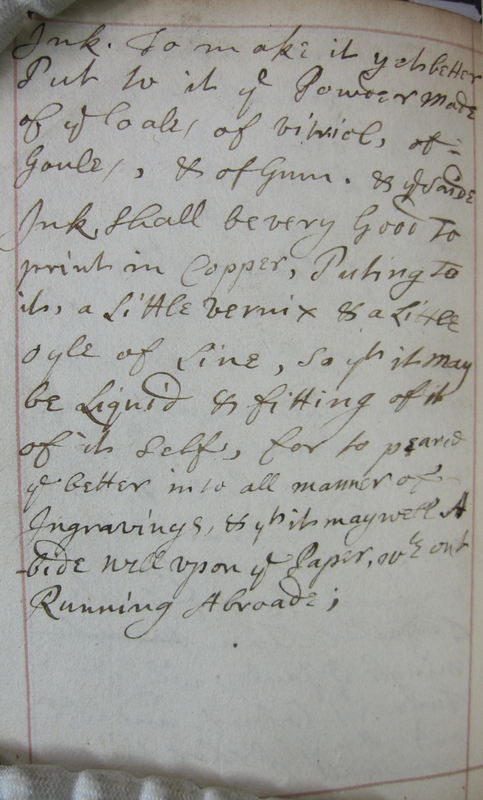 One of the Clark’s most fascinating annotated books is The excellency of the pen and pencil (1668), a portable drawing manual containing hundreds of manuscript recipes for inks, colors, medicines, and poisons, including the recipe for ink listed in the blog title. 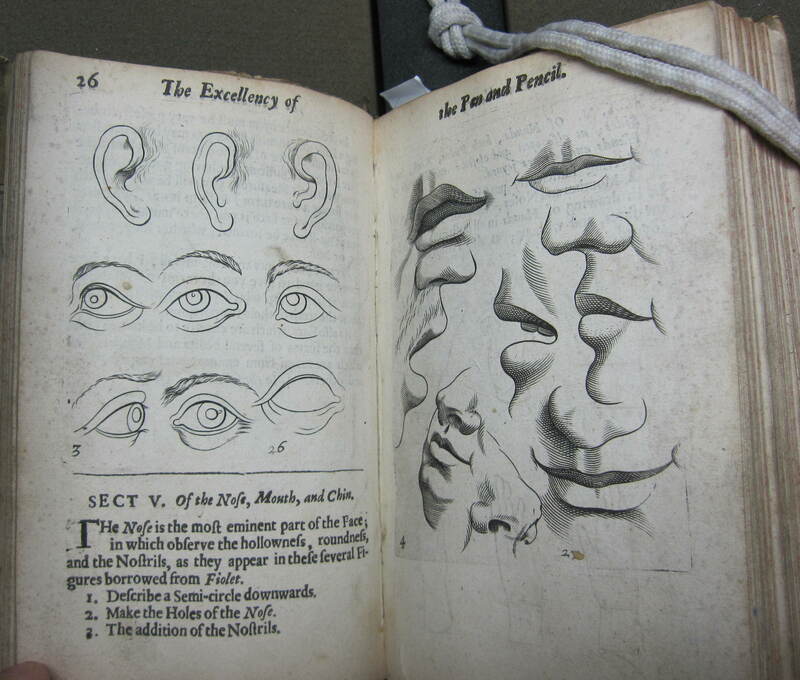 Besides offering instruction in the nuances of human anatomy, rules of shadowing, and methods of intaglio illustration, this particular copy of the book affords its audience custom content in the form of interleaved manuscript additions. In fact, there is so much manuscript content in the book that its print/manuscript status is best described as “hybrid” (the volume also has two catalog records—one describing it as a printed book, the other as a manuscript). 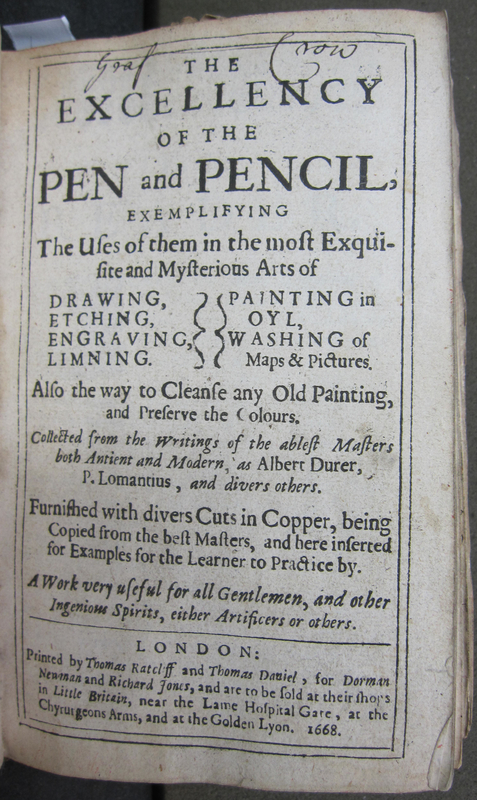 While the quality of this ink may be suspect, the text nonetheless illuminates the resourcefulness of early modern recipes: buy a black dyeing substance cheaply from the leather-tanners, collect galls whenever squid’s on the dinner menu, and if planning on intaglio printing, add a few more specialized ingredients to the ink so it can “pearce ye better into all manner of Ingravings.” Anyone researching the early modern economics of ink manufacture would do well to consult this volume, as it contains several additional recipes for ink, including “Printer’s Ink” and “A very good Receipt To Make Red Ink by,” which is appropriately written in the very red ink it describes. 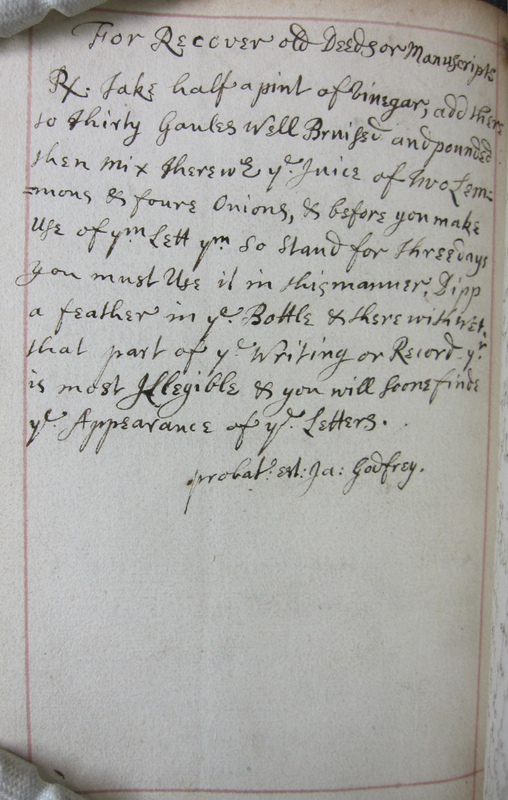 Yet the manuscript recipes do not simply instruct readers how to create ink; they also offer guidelines for its recovery. Some leaves, of course, simply provide space for doodling. 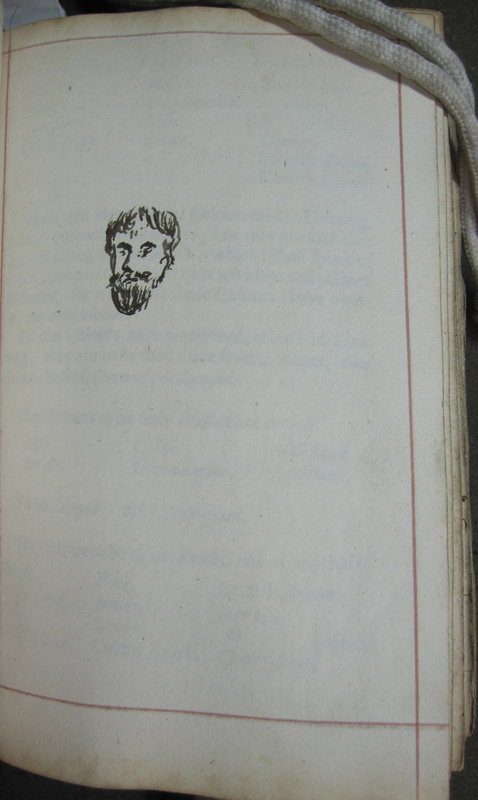 This later doodle seems to make a facetious reference to the formulaic “How to …” phrase found in many of the book’s manuscript recipes: “How to draw,” with the sketch of a face. 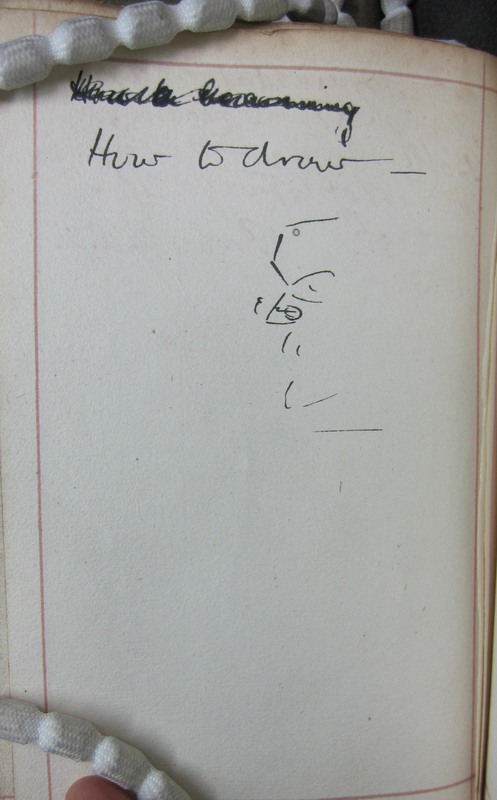 The binding of this volume, finally, offers several clues for understanding the book as a physical object. 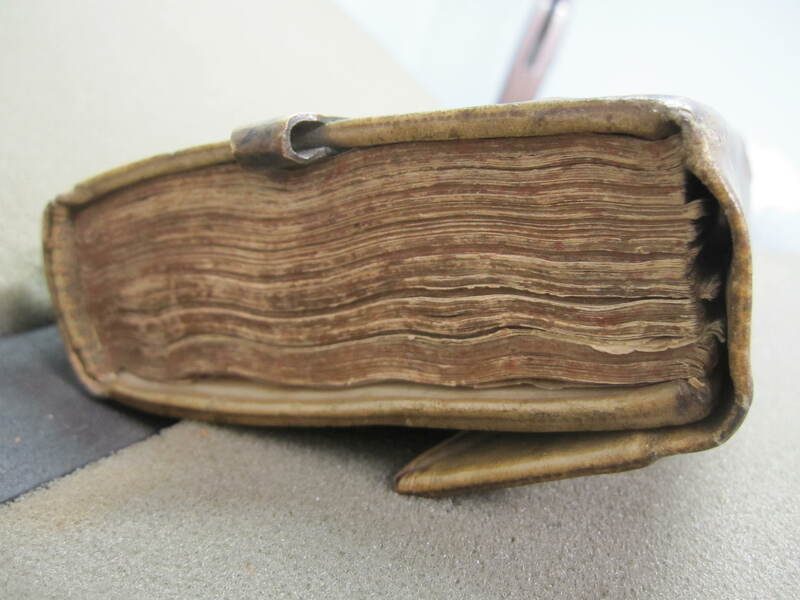 The vellum binding, complete with fore-edge flap, has a brass strip at the lower edge of the upper cover, looped to form a belt hook. 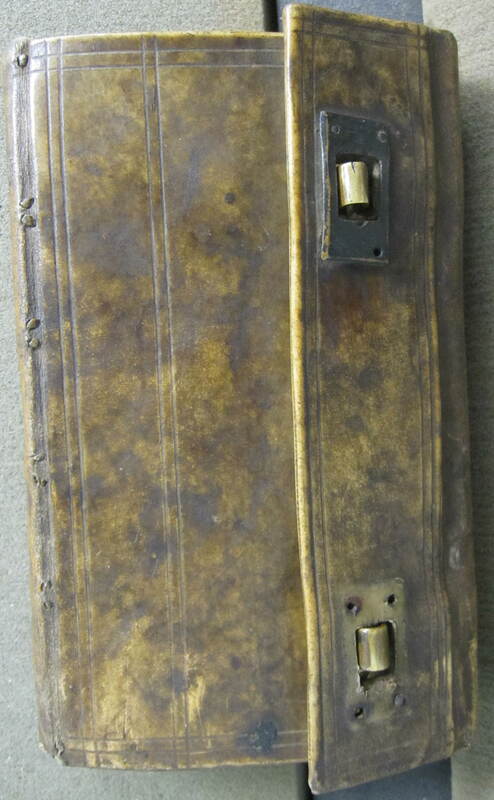 The volume, in other words, was not only portable in size but physically built to be carried around, its printed and manuscript recipes easily accessible on the go. 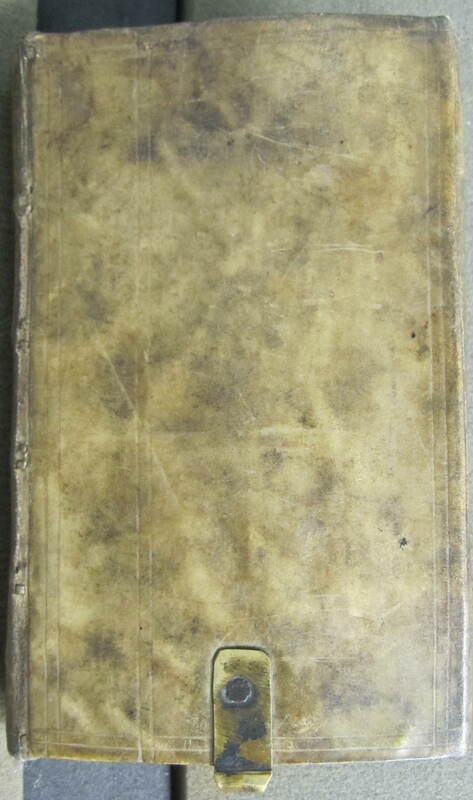 It seems likely that the person responsible for both the book’s portable structure and some of its manuscript content is the Samuel Steele who wrote this inscription on the inside of the vellum fore-edge flap: “Samuel Steele his hand and pen deus Omnipotent.” Whether the “Graf Crow” signature on the title page (see image above) refers to another owner who added manuscript content to the volume is unknown, though it is unlikely Steele was the only contributor. 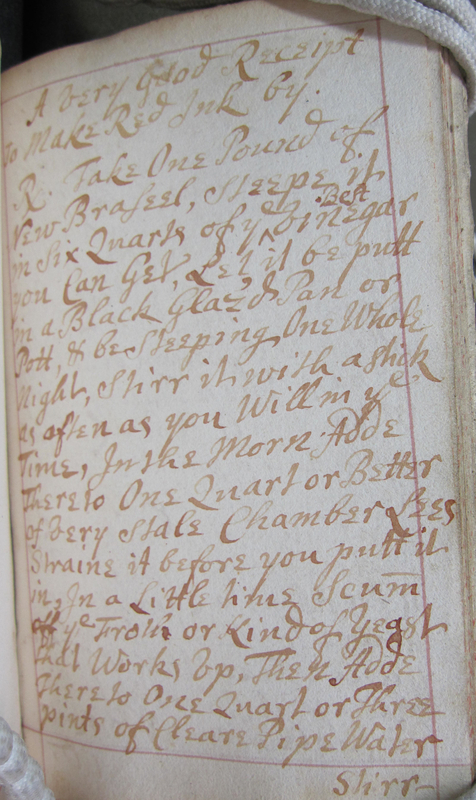 Rather, the multiple hands that inscribed the book’s recipes point to a social tradition of manuscript culture built around the volume, a tradition in which recipes were compiled, tested, and transcribed to create a hybrid book of portable knowledge. A lesser known holding here at The Clark is the Mexican Manuscripts Collection comprised of documents dating from 1579-1828 regarding the Spanish settlement and colonization of California, New Mexico, and one document from 1802 concerning Louisiana. The collection of 29 manuscripts written in Spanish cover issues relating to establishment of missions, Native American unrest, expeditions, travels, and political events in Alta and Baja California. Although the dates of the collection range from 1579 to 1828, the bulk of material is from 1750-1799. 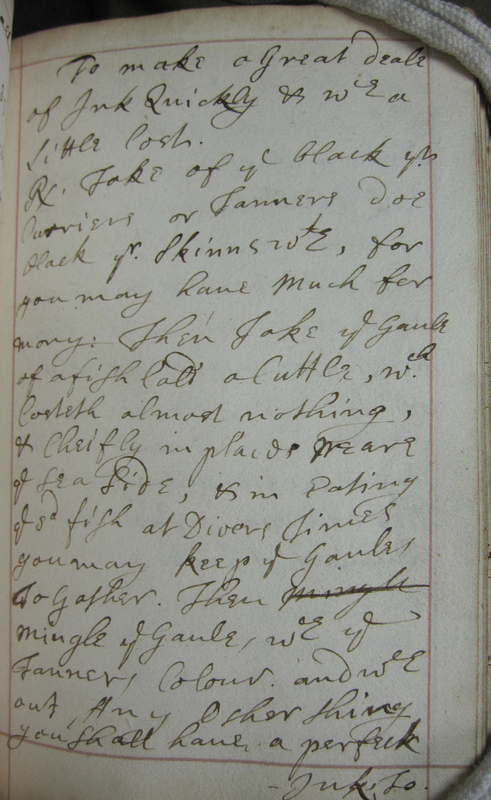 Included among the 29 manuscripts are estimates of voyage costs in and around the new colonies. Here a contract proposal from Don to sail a small ship from Acapulco to Alta California which notes conditions and estimates for the voyage. The collection includes various first hand descriptions of California and the process of colonization, missions, and interactions of the Spanish missionaries and government with the native people. The descriptions of the discoveries include those made along the west coast from the lower section of California nearly to Alaska along the coast prior to 1776. Within some of the descriptions are Spanish perspectives on interactions both contentious and friendly with various groups of Native American people including Comanche, Apache, Yumas and Pecos. In particular there are reflections on the war against the Apache Indians throughout the provinces of New Spain. Above is a portion of a document outlining the military and civil governments of Upper and Lower California in September 1829 which is said to be written in the hand of Augustin Juan Vicente Zamorano, who was then Secretary to the Governor of Alta California, Jose Maria de Echeandia, whose signature appears on the document. As a point of interest: Zamorano established California’s first printing press at Monterey in 1834 and it is from him that the Los Angeles club of book collectors took its name. Of interest as well is a contract between Don Juan de Oñate, who would go on to become the first governor of New Mexico, and Don Luis de Velasco who was the Viceroy of New Spain in 1595. The contract details what provisions would need to be taken and what laws are to govern the expedition. The collection is an interesting window into the colonization process by the Spanish government and the religious establishment as there are documents written by both Jesuits and Franciscans included in the collection.